A home office or library can be an intelligent addition to any home, but only if the design is well-planned out and crafted to meet your specific needs. Whether you’re working from home or simply want an office space for writing, reading, and paying bills, it’s important to think through how the space will be used. A library or home office can be an elegant addition to any home that adds property value and creates a unique space for quiet contemplation. Magazi Kitchens & Baths has been completing general home remodeling contracts in the area for more than a quarter century. What sets us apart is our unique ability to understand our clients’ needs and preferences for a space and translate those ideas into beautiful, practical home offices, libraries, and more. We also make the entire process stress-free and efficient by working together as designer and installer from start-to-finish. Mary has worked as a designer for more than 25 years, and her son George has been a licensed and insured MHIC 41859 contractor and EPA Lead Safe Certified contractor for over two decades. 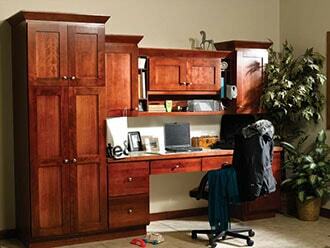 As more and more people choose to work from home, the home office is becoming a very popular remodeling choice. 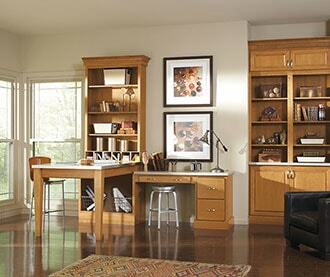 Attics, basements, and extra bedrooms can be ideal spaces to locate a home office. It’s important to consider just how much time you may be spending in this space, and to create a design that will be as visually appealing as it is practical. We take great pride in our ability to work with our clients to transform their visions into reality. The library in your home is a highly elegant way to create a room for quiet solitude and reflection. 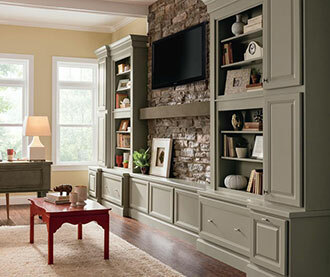 Built-in bookshelves are an essential part of any home library, and provide a place to show off your book collection as well as other miscellaneous collectibles. Whether your home library is a small reading nook or a vast and elaborate space that you’ll use to entertain guests, Magazi-AG will work with you to craft a space that suits your needs. Magazi-AG has built home offices and libraries throughout Montgomery, Howard, Baltimore, and Anne Arundel Counties, including the towns of Bethesda, Silver Spring, Rockville, Chevy Chase, Kensington, Gaithersburg, Olney, Ellicott City, Columbia, Annapolis, Davidsonville, and more. Take the first step towards creating your new home office or library with a free consultation in your home or at our showroom. We listen to your expectations and endeavor to exceed them. Call us at 301-913-0286 or contact us today to get started.